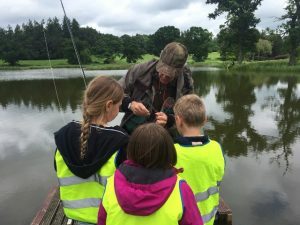 24 pupils joined us at Drum Loch for a fun day learning about invertebrates, trout, fly casting and catching fish today. 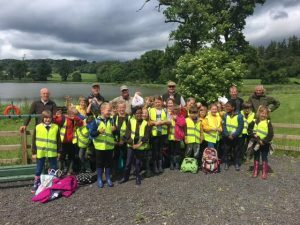 The pupils were put into groups and rotated around the various events on the loch. A health and safety talk followed by “how it all works” , a fly casting competition, then Jim, Davie, Roger, Chris and myself helped with the fishing off the platforms. Debbie Parke from the Nith Trust showing pupils all about the insect life that lives in a still water. 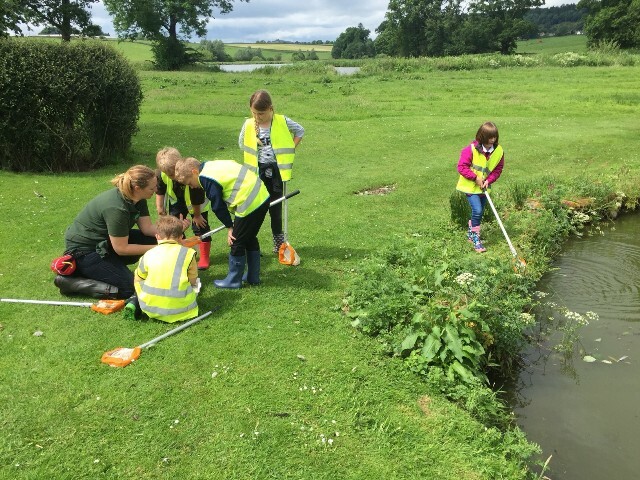 .. and into a fish! 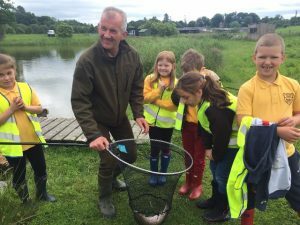 Davie from the Nith Trust helping with a rainbow trout. 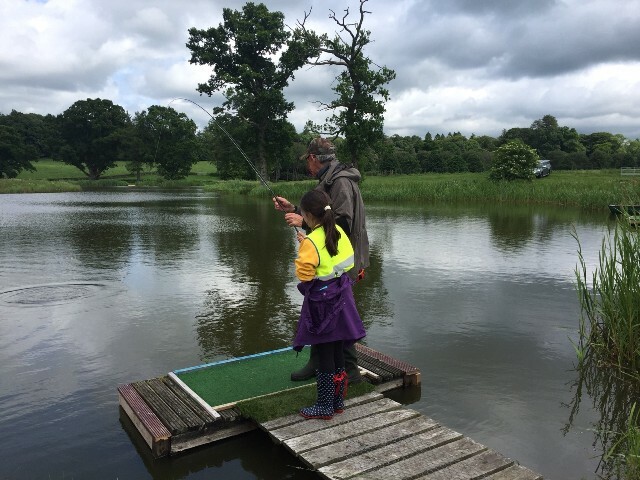 The fly casting competition ran by Derek Kelly, the fly casting was of very high quality and the results close! 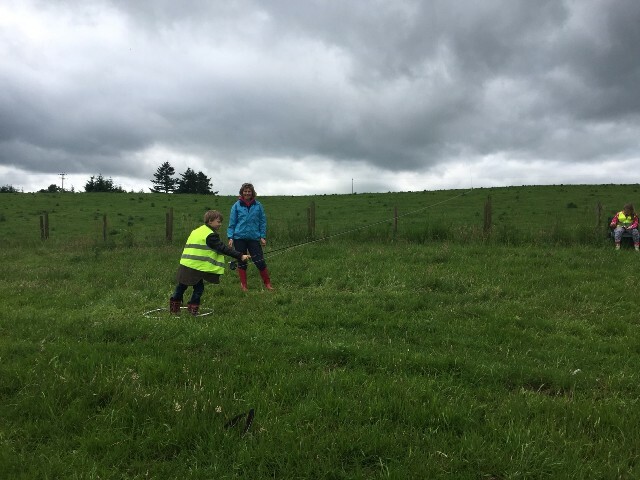 A happy end to the day, nice weather, well behaved pupils who went away with skills and a different look on the environment that they did not arrive with. Thanks to Dumfries and Galloway Angling Association for the use of the Loch and to Jim, Davie, Debbie from the Nith Trust! 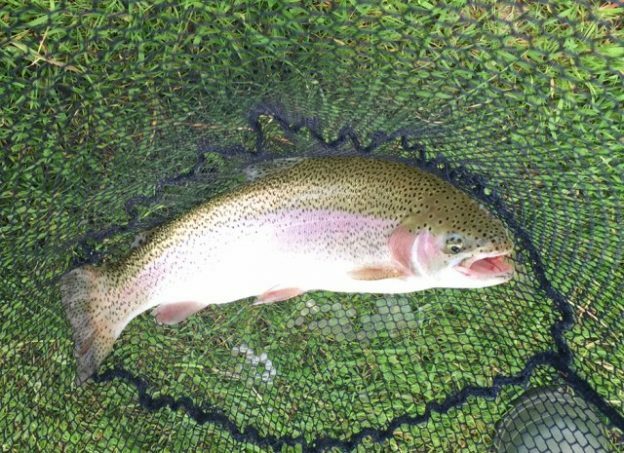 This entry was posted in Borderlines, education, environment, fishing, fly fishing, River Nith, Schools, Scotland, youth and tagged anglingforall, Borderlines, education, environment, family, Fly fishing, funding, outdoors, River Nith, schools, youth on 14th June 2017 by Glyn Freeman.